When Scandiweb started to work with the client, they already were using Google Shopping USA and CA. All SEM efforts were split between the client’s internal SEM professional and agency that specializes in Paid Search Management. Internal SEM professional is responsible for Bing Ads, so this field was not touched by Scandiweb. While on the other hand, PPC agency was responsible for Google Shopping management and it was overtaken by Scandiweb. During Google Merchant Center account analysis, we found out that previous agency had uploaded two feeds for US and one feed for CA, all uploaded manually. 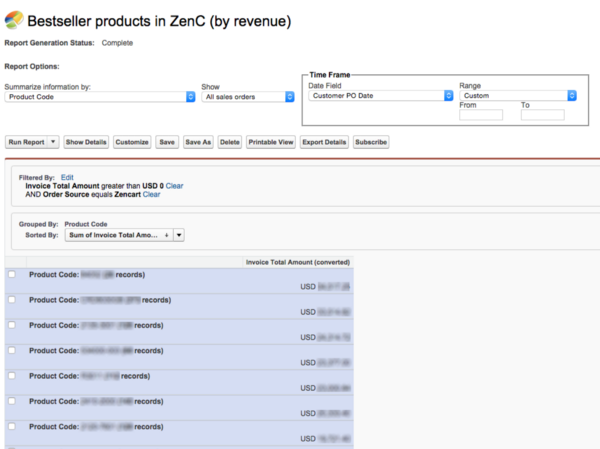 In total, 43 products were active and 94 were disapproved by Google (out of 3800 products available in ZenCart). Right after migration from ZenCart to Magento, 301 redirects for products in Google Shopping were not configured (forgotten by the client), hence all product ads led to 404 error pages. Prior to products data update automatization and new products upload, we decided to immediately fix old products issues not to spend money on PPC ads which led to 404 error pages. It was quite easy and fast — we exported existing feeds from Google Merchant Center and based on errors listed in “Diagnostic tab” identified wrong links. The next step was fixing errors manually via text editor (cmd+f, cmd+c, cmd+v). All issues gone from Merchant Center account within few hours. 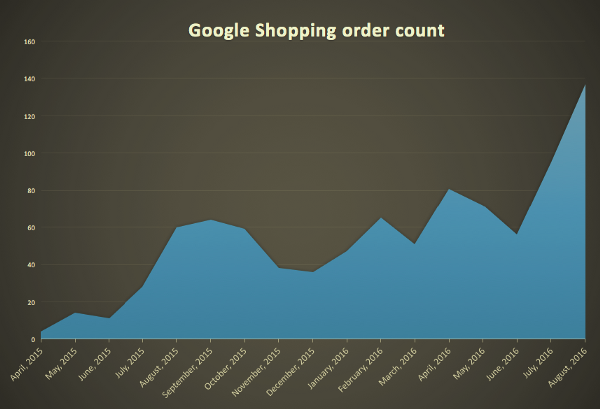 The next step was establishment of steady stream of orders coming from Google Shopping. The only way to do it, is importing all bestseller products from Magento and ZenCart. While products data update automatization takes time to implement, bestsellers can be added to Google Shopping manually and pretty fast. Luckily, bestsellers report was possible to generate from Glovia OM / Salesforce. Product data can be updated every day e.g. price change, new product added or other removed. To keep all channels up to date, we decided to automate products import/update for Google Shopping. Nowadays it is popular to use PIM to store all product data and push it to all your sales channels. Unfortunately, there was no such system for this client, and it requires a lot of time and effort to get it ready. A lot of product data needed to be updated e.g. missing unique product identifier (GTIN, MPN or brand). MAP policy The first problem was solved by the content manager, revising issues and updating each product one by one. NOTE: It is a good practice to have unique attributes for Magento and Google Shopping/Amazon/Ebay. For example, Magento product description may consist of HTML tags and can be very long. If such description will be imported to the Google Shopping, product will be disapproved. We need to either update product description or create a unique attribute for Google Shopping. Second problem was closely connected to the default Magento configurable products behavior. Google is smart, and do not want you to advertise different price than sale price. Google constantly checking your website and temporarily disapprove those items with mismatched data. Since configurable product can have attribute variations with different pricing e.g. black t-shirt for 5$, but white t-shirt for 10$, Google crawls your website and disapprove such items due to different pricing. It can see only one price on product page, it does not see all other prices for different product options. As a workaround, we started to redirect Google to specific associated simple product page with the correct price, instead of parent configurable product. It solved the issue with the configurable products import. And last but not the least is MAP policy violation. Due to high competition on the market the client is working on, the majority of manufacturers have MAP policy. They do not allow to advertise products below the certain price (still, you can sell them). Unfortunately, Google Shopping does not support it — there is no option to specify MAP and cheaper sale price. We created separate feeds for products with MSRP pricing and started to sell products for high prices not to violate manufacturer policies. As a workaround, we created Google Shopping Promotions and offered extra discount via coupon codes. It helps to spend the campaign budget and bid more effectively. We have configured following campaigns: “by products category“, “bestsellers“ and “all other products“. For sure, campaigns can be divided more granularly e.g. promoting flash sales and seasonal items in a separate campaign as well. NOTE: It is very important not to forget about “all other products” campaign. It may have the lowest priority and lowest bids, but still, there is a possibility to sell additional products. In our example, “bestseller“ campaign should have the highest priority and the most competitive bids. “by category” campaign goes in the middle, these products generated good revenue but still it is not a bestseller. And the lowest priority campaign is “all other products” with the lowest bids. Despite the fact that “all other products” campaign has the lowest bids, it assures we won’t miss possible customer who may look for rarely sold items. It allows bidding more effectively as well as analyze a performance of the specific category. modified products feed generated on Magento side, added “custom label” there. uploaded new feed to Google Merchant Center account. Google Shopping promotions is an effective and FREE way to increase Ads click-through rate and decrease their cost-per-click. We have configured promotions with the coupon codes for all products with MAP pricing. The main result of the completed work was Google Shopping connected to the Magento. All products data updated in Magento will be also updated in Google Shopping automatically within one day. Optimizing AdWords Shopping campaigns as well as adding all Magento products to Google Shopping resulted in order qty increase from 10 to 50+ orders in two months. With continued work on product data feeds, product information updates and ongoing AdWords Shopping campaigns fine-tuning, we can see that order count trend is still going upwards after more than one year since the project was started. By competitive bidding on the best performing products, low performing product exclusions, bidding schedules and more precise targeting we have been able to not only increase the order count but also spend the allocated AdWords Shopping budget more effectively, thus improving return on advertising spend.